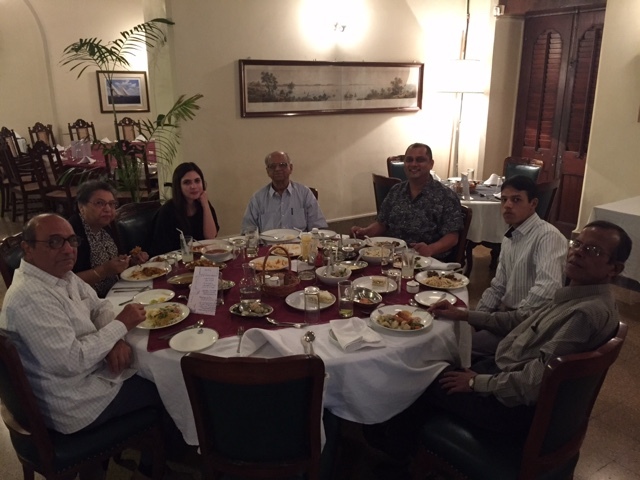 Being married into a Parsi family in Mumbai, I am often to witness to the Parsi love for eggs. Given a choice they will add eggs to everything they eat and will have eggs everyday. My uncle and cousin from Kolkata are visiting us and my uncle's meal preferences reminded me of how important eggs are to us Bengalis too. He told me that he could have eggs for every meal. Mesho's (my uncle's) love for eggs is rivalled only by his love for potatoes. He is a man of very few demands but finding a potato in a dish makes him very happy. His love for eggs reminded me of the life I left behind in Kolkata. Eggs were always the saviour then. On a rare day when there was no fish at home, an egg would be fried to ensure that there was at least some non-vegetarian element to a meal. When there was nothing else to eat at home, my parents would rustle up a meal bhat, alu sheddo and deem sheddo (rice boiled in it its starch, mashed potato and boiled egg). When guests would drop in un-announced, in a time before that of text messages and whatsapps, a mamlet (Bengali for omelette) would be made for them. My mesho's late mother had once made an omelette for me when I had gone to their house after I had injured my hand while playing badminton in college. I was relieved when he told me that I hadn't fractured my hand (he is a doctor) and the mamlet tasted a lot nicer after the reassurance. Egg yolks were not considered to be the world's biggest evil then. Years later, when I would go to Kolkata on vacation, my mother would make French toasts every morning for breakfast. The Bengali mamlets are cooked in mustard oil and our French toasts are savoury not sweet! One night while wondering what to make for dinner for our guests from Kolkata I came up with the answer every easily. 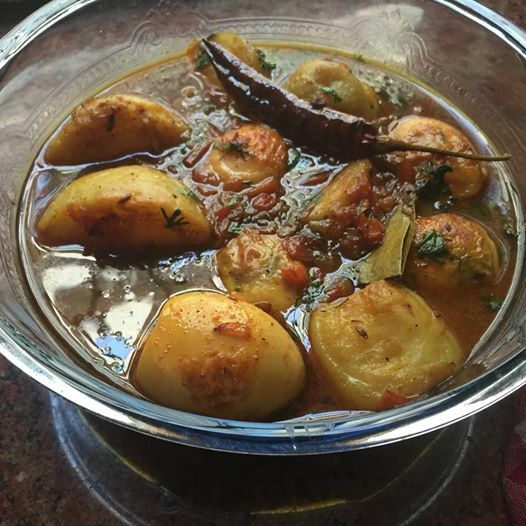 Deemer jhol or egg curry in Bengali. It had been a while since I had cooked this so it was nice to get the dish out of the woodwork. Score the boiled eggs (make 4 slits). Smear the eggs and boiled potatoes with a pinch of salt and less than half a teaspoon of chilli and turmeric powders, fry them in hot oil and set aside. Add water & bring to a boil, let it simmer for a 3 to 4 minutes and you are done. You could indeed say that the mutual love for eggs lie at the core of Bengali Parsi mixed marriage.